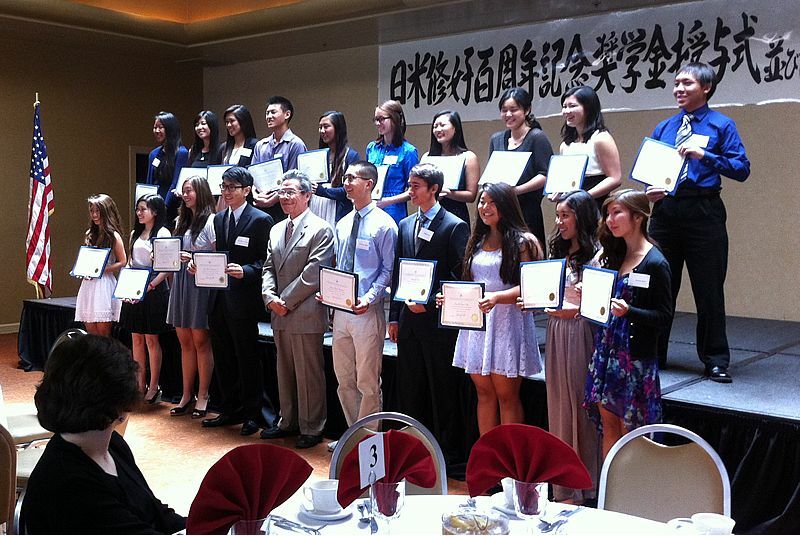 2013 JATCSF Scholarship Presentation & Recognition Luncheon was held on July 27 at Quiet Cannon Restaurant. 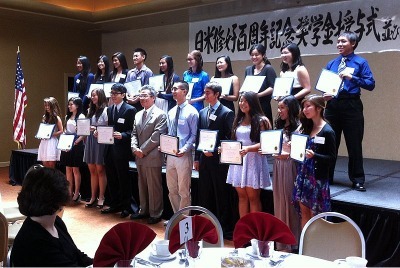 19 promising students were awarded the scholarship this year. 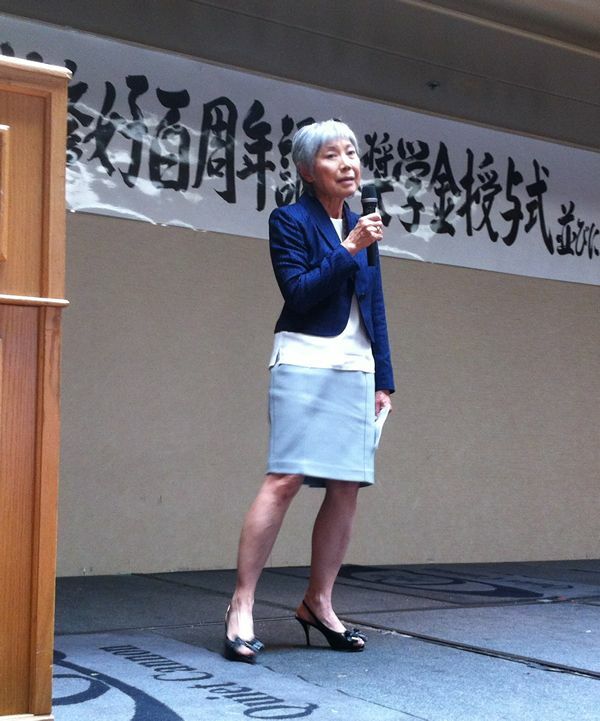 The ceremony started on 11 a.m. with Opening Remarks by Robert Yasui, Vice Chairman and Master of Ceremony. Pledge of Allegiance was followed by Greetings from Yoshio Lee Aoki, Chairman & President and Jun Niimi, The Honorable Consul General of Japan in Los Angeles then proceeded to the Scholarship presentation. Each one of the recipients was called on to the stage and received the scholarship. 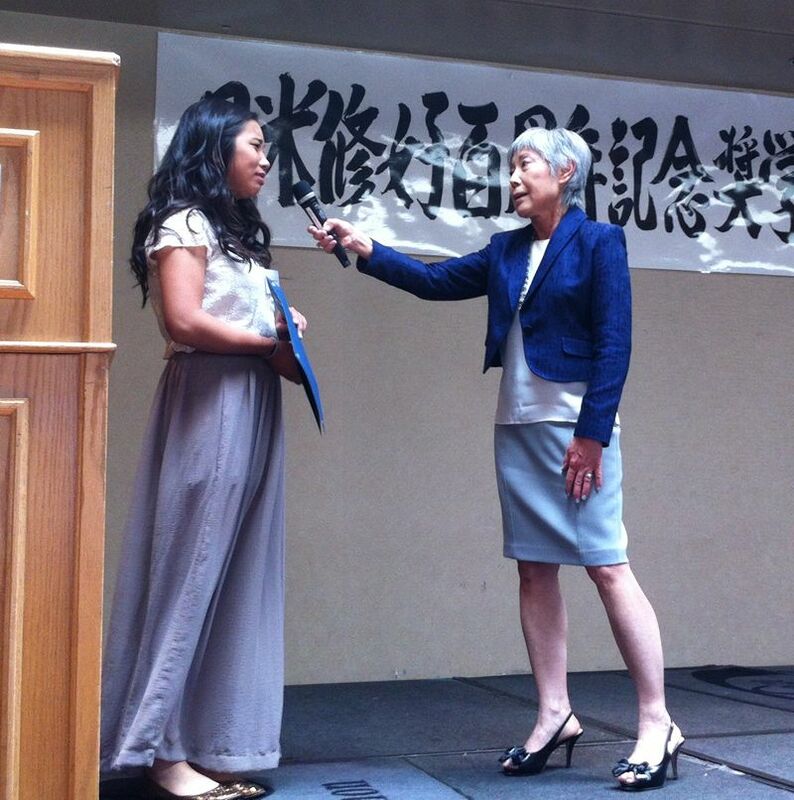 Wods of Appreciation on behalf of the Recipients was announced by Kelli Ayame Tani after the presentation. 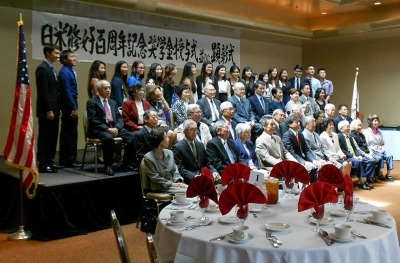 The luncheon followed, then Presentaion of Recognition Award was presented to Mr. & Mrs. Tatsushi Nakamura, followed by Keynote Speakers speech. 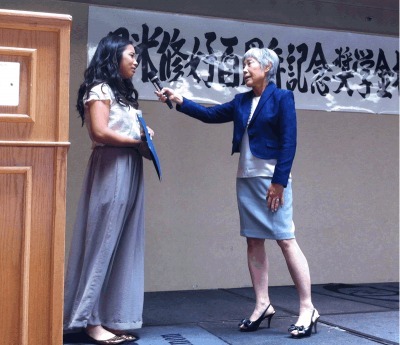 Ms. Ayleen Ito Lee, the daughter of Kenji Ito, Founder of the Japanese American Treaty Centennial Scholarship Fund, gave a speech about the importance of network in the community. The impromptu quiz to Kelli Ayame Tani at the end of the speech was unique and entertaining. Congraturation to the Scholarship recipients! We hope you a brilliant and wonderful future! ← 2011 Japan Disaster Relief – We accept credit cards!